So, you started a blog? Great. But times changed, and taking a blog from zero traffic to massive success is a lot harder than it was 10 years ago. Or even 2 years ago. One reason for that is, that today a lot of the regular tasks you need to do as a blogger need to be done on a much larger scale than a couple of years ago to see any effect. Let’s take editing for example: In the beginning, you could get away with unedited content. Typos and bad style didn’t matter as much as long as your content was helpful or valuable to your audience. While I’m in no way claiming that your content needs to be stylistically perfect and free of typos today (if you find typos in my posts, you are free to keep them and quote them), content today needs to be better optimized and edited. Another example is social media marketing: Just a couple of years ago, the occasional Facebook post may have been enough for a lot of blogs. Today – a Facebook page and 3 boring posts a week won’t get you a lot of traffic. This extends to almost every part of life as a blogger. And you won’t be prepared to become a successful blogger if you aren’t ready to use some tools in your daily blogging routine. If you want to write a lot, you have to read a lot. This motto, shamelessly borrowed from Stephen King, should be written on a post-it and attached to your screen. But just reading isn’t enough for a blogger. You need to follow what the blogosphere is up to in your niche. That means you need to follow all the active blogs that write about similar topics as you do. Especially when you are starting out, you should read everything that they write – on a daily basis! When you find another blog that writes is active in your niche, you need to subscribe to it. Not just on Facebook or Twitter. You need a content subscription tool that allows you to follow their content. I use the free tool Feedly for that. Feedly is a content subscription tool that allows you to follow any blog/online magazine/feed that you want. It will pull all the articles you need to read into it’s UI, allowing you to just open it and consume the content you need to consume. What’s more: Feedly is available on about any platform: You can use it on your desktop via its web UI, Android or iOS devices via their apps, you can connect it to other apps via IFTTT (see below), and you can also use it for content discovery. All apps are kept in sync via a unified login – so you will always have the same content sources in all devices. It’s very convenient – because you can have it in the background at all times – subscribe to new sources when you find them, and then read content when you are on a train, waiting at the doctors, or anywhere else where you haven’t got the nerve for the productive tasks. 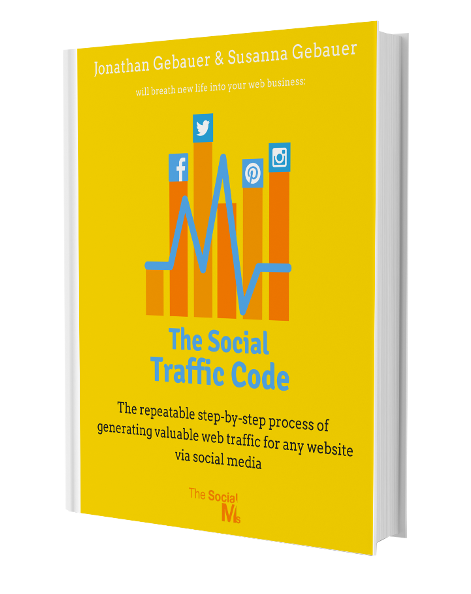 Do you want to crack “The Social Traffic Code” for your blog? Check out our ebook! This may be a given as Google Analytics is probably the tool that is most common in the blogosphere. But I wanted to list it here as it is essential. 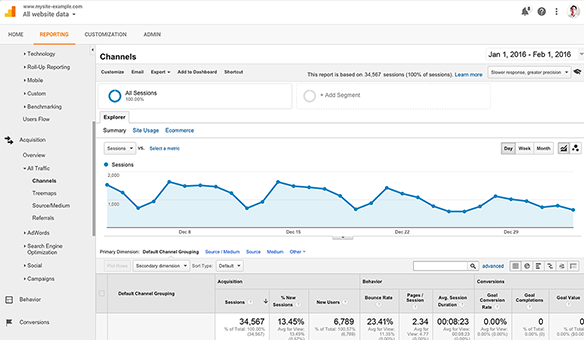 Google Analytics is a free analytics tool for websites of any kind. You can integrate it into your WordPress blog easily, and it gives detailed statistics for the web traffic you get. It’s in fact so overwhelming that, while most bloggers have it installed on their blog (it’s free after all), many scarcely look into it. What you should do, right from the start is: Have it installed and let it grow with your success as a blogger. In the beginning, you may only need it’s most basic predefined results, but with growing success, more traffic and more experience you may want to dive in deeper and examine your audience and the effectiveness of various traffic sources. Google Analytics gives you the power to do this for free! Let’s talk about checking your writing style, spelling and grammar with the tool Grammarly. Until now, all tools were free – this one isn’t. It’s not even cheap ($29.95/month, 59.95/quarter or 139.95/year), and I can understand if you are not willing to make the investment just yet. But even if you decide you want to go for an alternative – try out the free demo (which comes with greatly reduced abilities). However, before we move on to alternatives let’s just talk about Grammarly for a bit – because it simply is so much better than any alternative. Grammarly is not just a simple spellchecking tool – it checks your grammar and your writing style as well. And it does a good job at that. Every post we write goes into Grammarly once it is finished. Grammarly gives you recommendations about how to improve your writing, identifies grammatical errors and typos and always gives you a choice to completely ignore the recommendation it makes. However, the greatness of Grammarly is not just that it does a good job with it’s core features (it does). 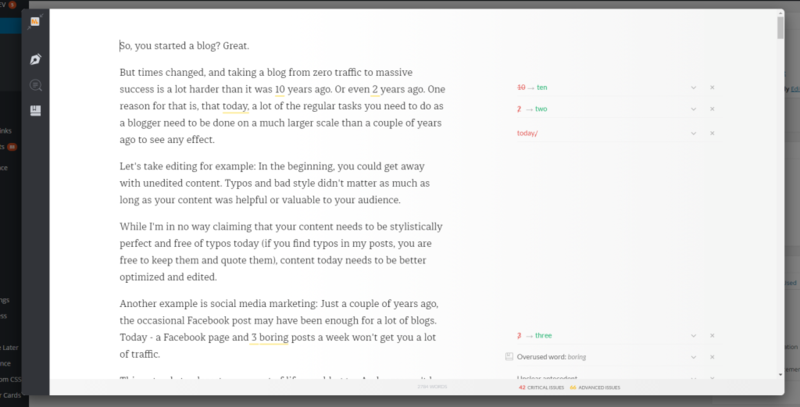 The real power of Grammarly is how well it integrates into your workflow. You can integrate it directly into Chrome via it’s plugin – which allows you to open it for any text you write in your browser. Or you could download the desktop app and use it as your editor. Or you can even download a plugin for Word – and continue writing directly within that software. The choice is yours – and having these options is a real timesaver. That is why Grammarly is our recommendation for this. You can achieve similar results with free tools by combining a spellchecker with the free online version of the Hemingway app – simply paste your text in and follow its recommendation. However, this process doesn’t give you Grammarly’s advanced grammar checking abilities and is a lot more time-consuming. Another alternative is the Expresso App – another online app that works similar to Hemingway. Expresso misses out on actual recommendations but does use similar analysis features as Hemingway App. In the beginning of blogging, you could push out post after post after finishing writing. Today, with attention spans of mere seconds, you need to keep your audience’s interest. One thing to do this is to include graphics into your post. Often these can be screenshots, or statistics taken right from MS Excel. But sometimes you need something more. Maybe a small infographic for instance. Also, social networks have become more and more focused on images – without great looking images you don’t stand a chance at all on Pinterest for instance. And even Facebook and Twitter referrals will greatly improve if you use optimized images on these networks. Not so long ago, images that worked well on these networks were hard to acquire – you either needed to know about tools like Photoshop, or you needed to hire a designer to create your images. Enter Canva – another tool you can use for free! 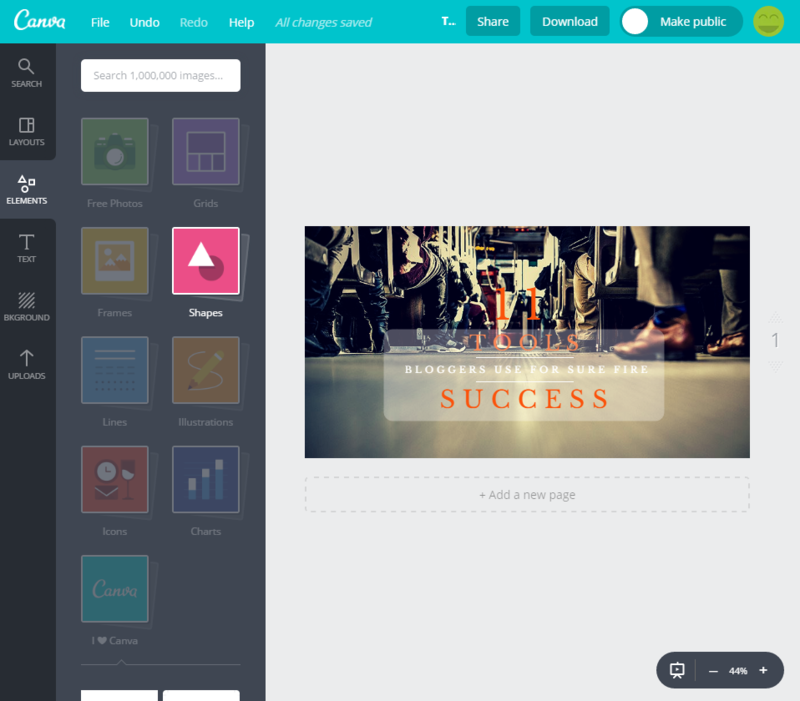 Canva allows you to create images that look like they’ve been “designed” simply by dragging and dropping images around. You can use their premade templates and swap elements out, or you can start from scratch. It also comes with predefined sizes for 99% of blogging usecases. It’s hard to describe how efficient Canva is – it needs to be experienced! But the combination of the easy to use concept combined with it’s many options for “designing” make it a must use tool for bloggers. Yoast SEO is a free WordPress plugin that helps you optimizing your posts for search engine traffic. Once installed it shows how well optimized each post is on a scale of 1 to 3 (Red, Yellow, Green), allows you to enter a focus keyword (for optimization), and gives you hints on how to improve your search engine optimization. You can also edit your search engine snippet, post URL, and even Facebook meta tags. 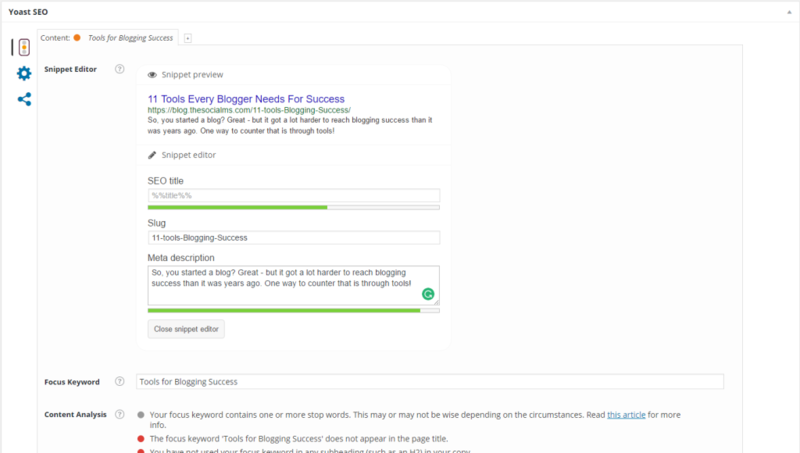 Yoast SEO may just be the easiest to start doing a little SEO on your blog. You still need to do your own keyword research via other tools, but once you know your keyword, all the optimization can be done with the help of Yoast! This one is tough. This isn’t just one tool, it’s a lot of tools. And they often don’t work as intended – yet you should probably use them anyway. However, good headlines can make a blog successful almost on their own. Whether people click on your post largely depends on the actual headline. Not the content inside, the headline. There are many different headline optimization and blog topic generation tools that you can use to find great headlines for your blog. 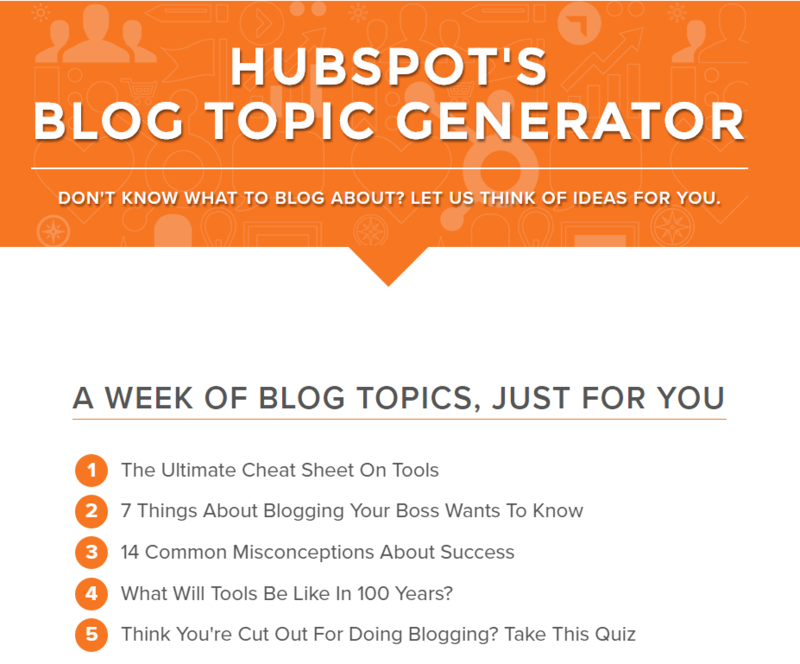 Let’s start with the Hubspot Blog Topic Generator. As you can see from the screenshot, some of the suggestions are less than useful. 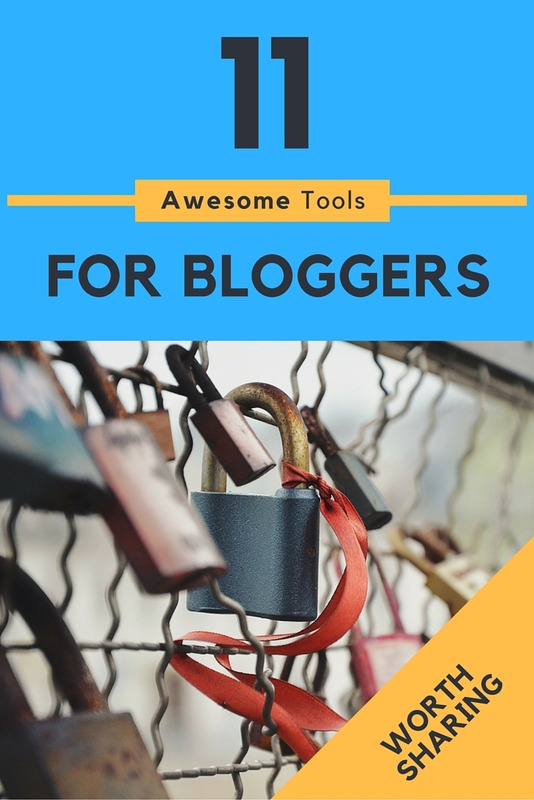 I put in the three nouns: “Tools”, “Blogging”, and “Success” to see whether it would give me a good title option for this post – and it didn’t. But it came up with at least 2 other titles that I could write posts about in the future (with slight adjustments to the title). As an idea creation tool, it might not be perfect, but it does come in handy! So, I’m still not there yet for a title for this post, but I have the boring title “11 Tools For Blogging Success” in my mind. Let’s see how the Coschedule Headline Optimizer can help. As you can see from the screenshot, using it’s tips, I ended up with “11 Tremendous Tools Bloggers Use For Sure-Fire Success.” Better – yet maybe not perfect. 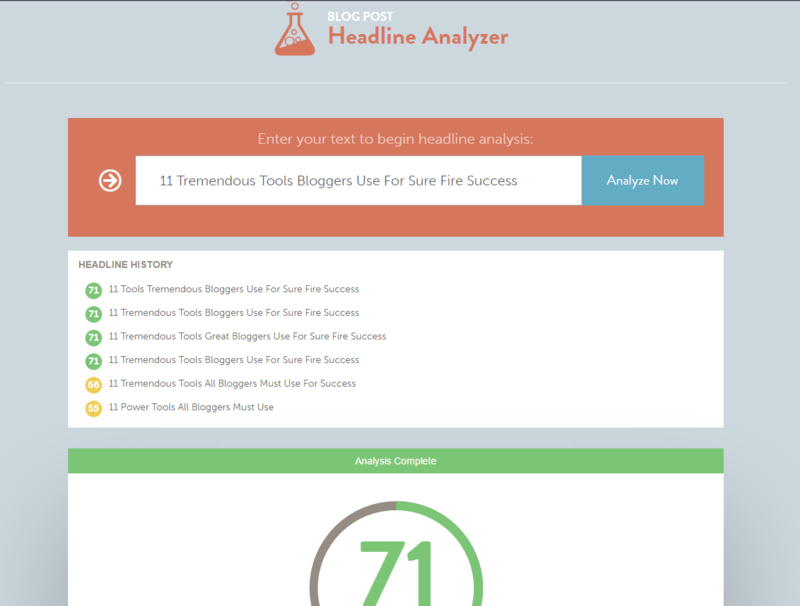 There are many more tools you can use for headline analysis and idea generation. But there is one tool that should come before all else: Your brain. Write at least 25 headlines for the post. Yes, 25, not even one less! Select the three headlines you think are best. Test them via social media, or ask your friends and family. Select the one headline that your audience thought was best! This is how you use your brain for headline creation. 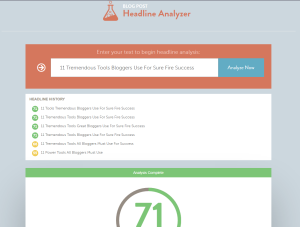 Even if you need the help of other tools to create these 25 headlines. 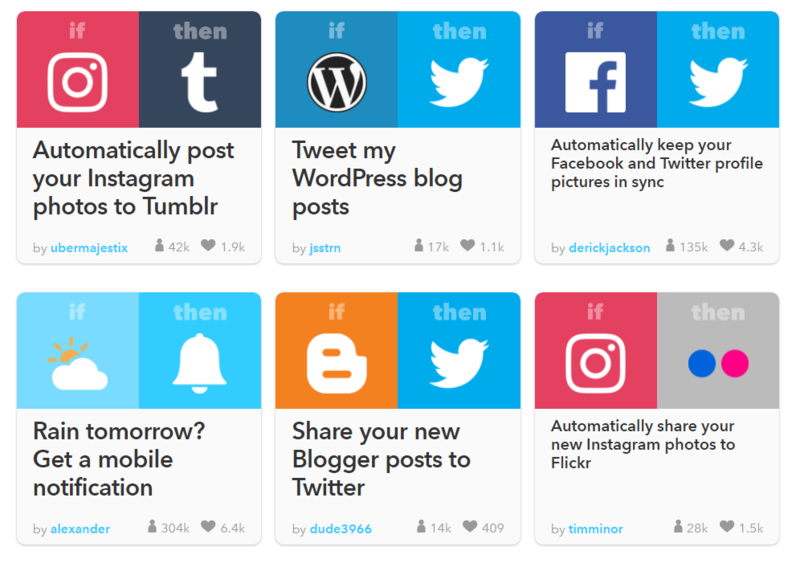 IFTTT is a tool probably everyone in the world should be using, not just bloggers. IFTTT is a web service that allows you to connect other web services to each other. For instance, you could connect your WordPress blog to your Facebook account so every new post get’s shared on Facebook. Granted, these simple things can be done without IFTTT, but there are other ideas too: You could for instance copy every new Pin you make on Pinterest to a Google Doc and therefore create a catalog of great pins that you can later reuse. Have a sports blog? Connect your Strava account to your blog and have it post every time you finish a run. 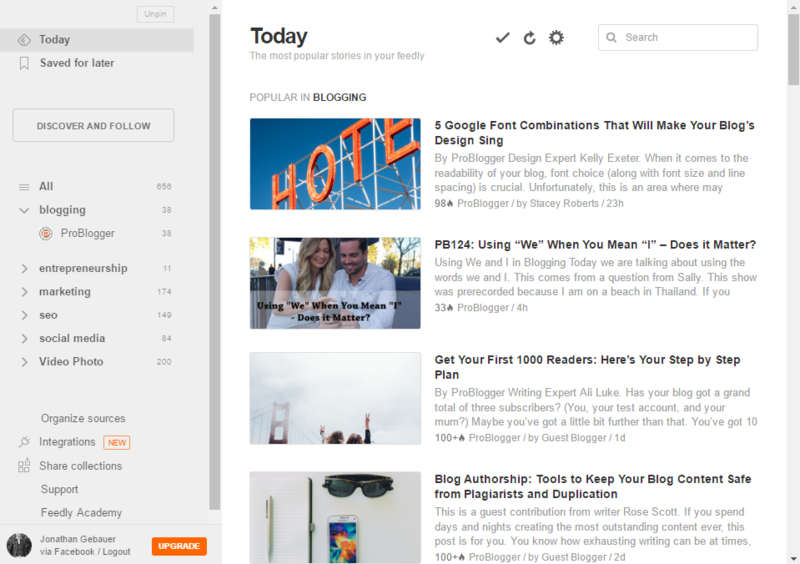 If you ever want to be successful as a blogger, you need an email marketing tool. Not just because “The money is in the list.” But because subscribers are the one traffic source that you can always count on. While social media may be “social” by name, email is actually a lot more “social” than social media ever was. Email subscribers gave you their email address, which requires a lot more trust than just a like on Facebook. Email subscribers like you enough to actually receive everything you decide fits. That is why email subscribers are worth more than any amount of social fans. If you, at some point, want to start making money with your blog, than email subscribers are in most cases the only ones that will ever buy anything from you. Enough talk about the why – let’s continue to the how. 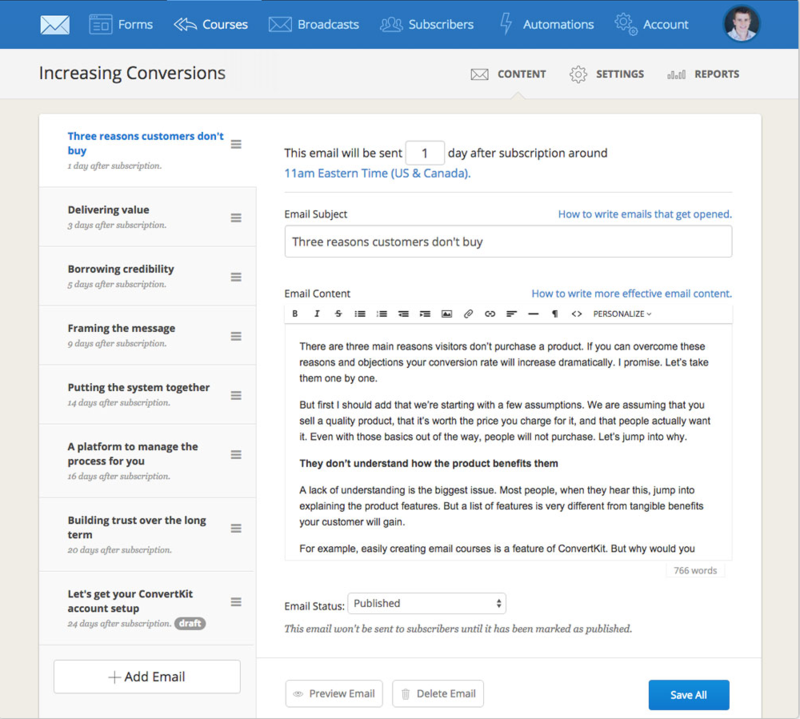 The tool we use for email marketing is Convertkit – and just recently switched to it from Mailchimp. Convertkit is great because it allows you to set up automation sequences easily by allowing you to move people between sequences via lists. If you ever want to sell anything to your list, that makes it an invaluable tool. Also, Convertkit is by far the easiest to use email tool I have ever seen. It also prevents people ending up in multiple segments of your list and receiving every email multiple times. The downside of Convertkit is that it is not free. For this reason alone, most beginners will probably start with Mailchimp (which allows you to have up to 2000 subscribers for free). Social media marketing is a pain when you want to do everything manually. Especially on Twitter. If you want to have any success at all on Twitter, one tweet per day won’t get you far. We recommend a minimum of 10 tweets per day. You also can’t just post them at the same time; you have to spread them out over the day. 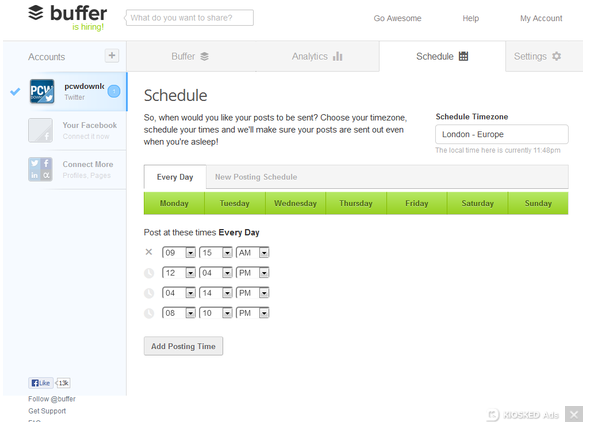 That is where Buffer comes in handy: Even the free version of Buffer allows you to schedule 10 tweets. You set up the times to send out a tweet, and then every morning you can fill up your buffer and forget about content tweets for the rest of the day. Easy as pie. You can also use Buffers content discovery features to discover great posts to tweet, use it’s analytics to find out which titles work best, and so on. 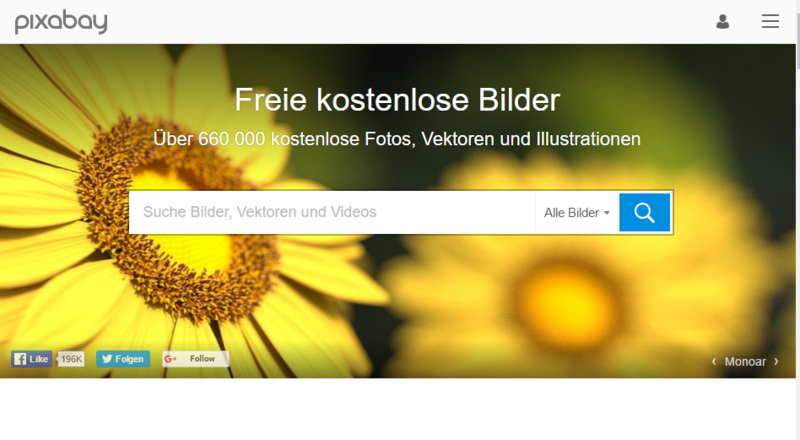 This isn’t really a tool, merely a web portal that allows you to find free to us images. You know, sometimes you don’t need a great illustration, just merely a good looking image that allows you to illustrate a point. And stock images are expensive – Pixabay’s images won’t cost you a dime, and you can use them legally! We believe that a growing Twitter account is the best way to get started with Social Media Marketing – Twitter makes it really easy to identify conversations around your niche and get the first followers, but you have to know what you are doing. Unfollow those who didn’t follow after a couple of days. It’s really as simple as that, and if you don’t overdo it, it’s perfectly safe. But what is safe? If you want to find out more about the Follow-Unfollow Algorithm, you can have a look at this article here. Manageflitter makes growing on Twitter easy! 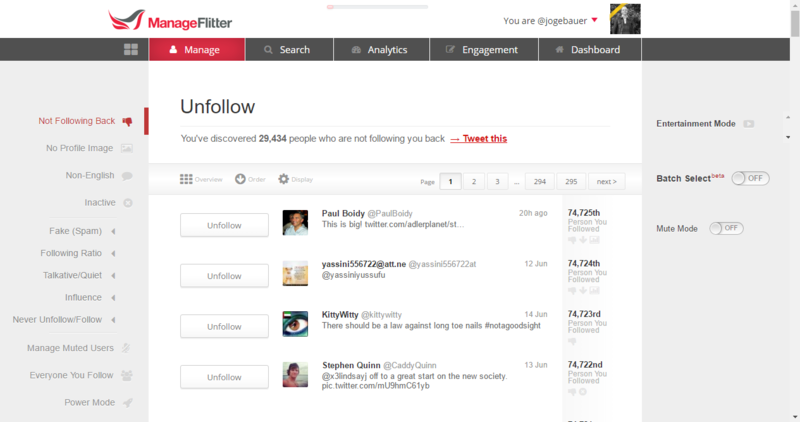 Manageflitter is a tool that is made for following the above procedure. It allows you to easily identify people to follow, unfollow those who didn’t follow back and prevent yourself from breaking any of Twitter’s rules (you should still be careful). As a blogger, great hosting is a must. The hosting provider we recommend is Cloudways. They are a Cloud hosting provider that allows you to host your blog on third-party cloud hosts like Digital Ocean or Amazon web services. Pricing starts at 5 Dollars per month, and this already includes their state of the art and easy to use interface. You can install their optimized WordPress installations with a single click and that already includes several layers of caching that makes your new WordPress blog blazing fast. 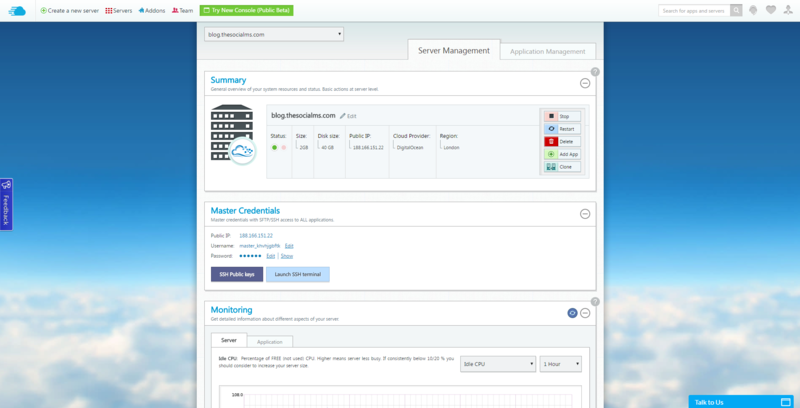 Cloudways user interface allows for easy to understand server management. If you want to migrate your existing blog to Cloudways, this can also be done via an easy to use WordPress plugin!